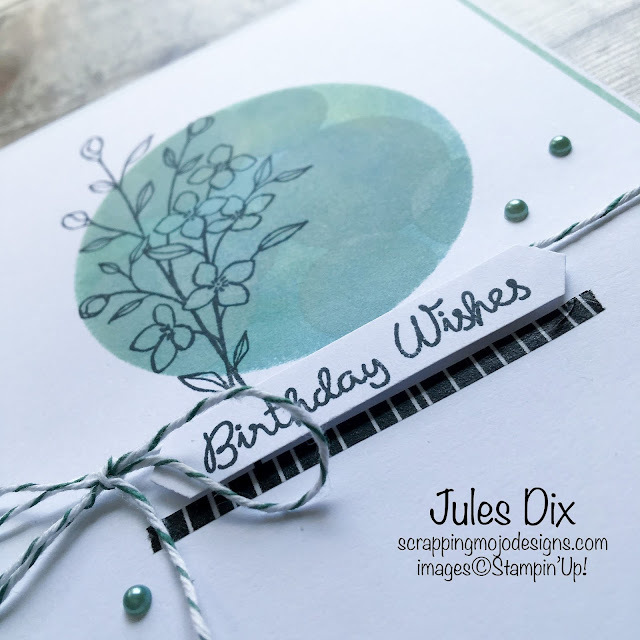 Scrapping Mojo Designs: Birthday Wishes Card with Touches of Texture from Stampin' Up! 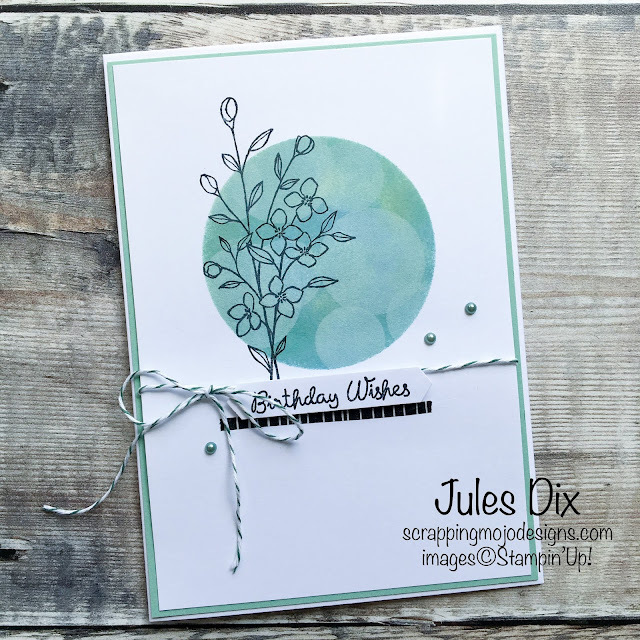 Birthday Wishes Card with Touches of Texture from Stampin' Up! I had a go at another new to me technique this weekend, and this lovely card was the result. I'm really pleased with how it turned out, so you'll see a few more cards using this technique in the near future! I started off by creating a circular template by cutting a circle in a piece of waste card using the Layering Circles Framelits Dies. I then secured this to a piece of Whisper White card cut to size using washi tape and used sponge daubers with several colours of ink to create the sponged circle (Mint Macaron, Balmy Blue and Soft Sea Foam). Removing the template left a perfectly coloured circle. I then cut a couple of smaller circles in more waste card, and sponged through those using Craft White ink on top of the coloured circle to create the bokeh effect. Not bad for a first attempt! Supply List: Touches of Texture & Varied Vases stamp sets; Classic Label Punch; Layering Circles Framelits Dies; Whisper White and Mint Macaron card; Mint Macaron, Balmy Blue, Soft Sea Foam, Tuxedo Black Memento and Craft White inks; Pick a Pattern washi tape; Share What You Love Artisan Pearls; Tranquil Tide Bakers Twine from the Share What You Love Embellishment Kit. July is a brilliant month for Stampin' Up! promotions. If you're a fan of patterned paper this is the month to stock up on your favourites, as SU! are running a buy 3 get 1 free on selected Designer Series Papers. Plus, if you've ever considered joining the SU! 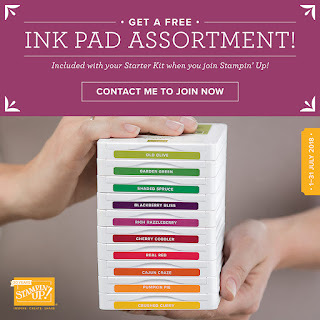 team this would definitely be the time to do it, as you'll get a free Ink Pad collection of your choice included in your Starter Kit. That's 10 ink pads absolutely free! 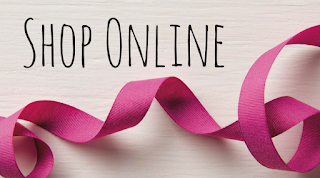 If you'd like more information about becoming a Stampin' Up! Demonstrator, either as a hobby or as a business, please do get in touch, I'd love to have you on my team! 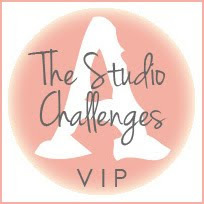 There are more details about these promotions, and an exclusive project using Varied Vases in my newsletter, which you can subscribe to at the bottom of this post. Or if you're on Facebook, why not join the Scrapping Mojo Designs Group?